Mumbai's Victorian Gothic and Art Deco ensembles were inscribed in the world heritage site list at the 42nd session of the world heritage committee of UNESCO at Manama, Bahrain, on Saturday. The inscription gives Mumbai the distinction of having 3 UNESCO world heritage sites, (including Elephanta and Chhatrapati Shivaji Maharaj Terminus). 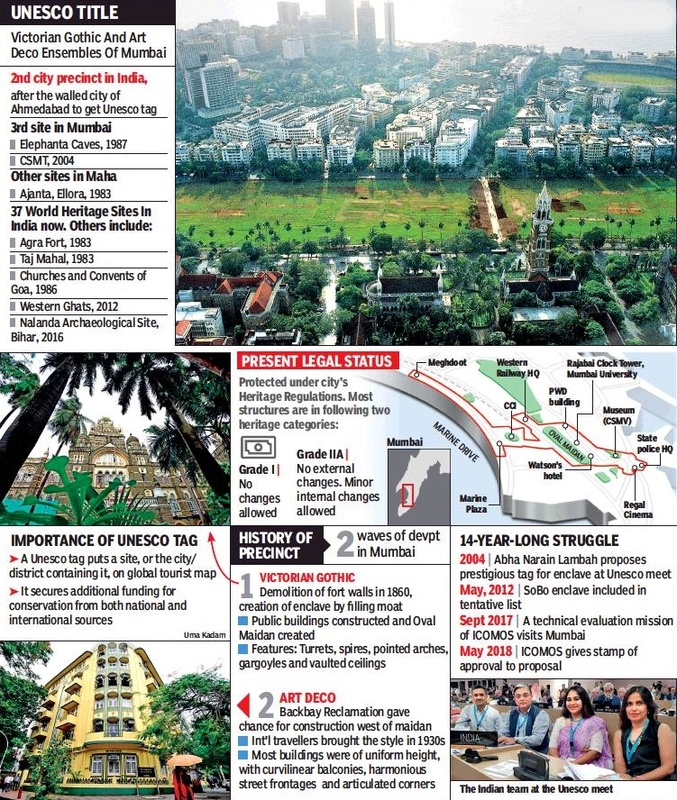 Spread over 66.34 hectares, with a buffer zone of 378.78 hectares, the ensembles comprise two architectural styles — the 19th century collection of Victorian structures and the 20th century Art Deco buildings along the sea, conjoined by the historical open space of Oval Maidan. 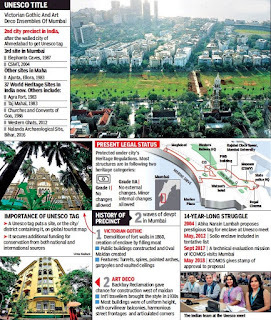 As recommended by the world heritage committee, the heritage precinct is set to be renamed as ‘Victorian Gothic and Art Deco Ensembles of Mumbai’ shortly. For inclusion in the WHS list, sites must be of “outstanding universal value” and meet at least one of 10 selection criteria. A team of observers comprising heritage experts, conservation architects and UNESCO officials visit these sites to ascertain if their make the cut for nomination. Factors like the condition and maintenance of sites are also looked into. For the city’s ensemble, the nomination dossier pitched it under criteria (ii): exhibit an important interchange of human values, over a span of time or within a cultural area of the world, on developments in architecture or technology, monumental arts, town-planning or landscape design, and (iv): to be an outstanding example of a type of building, architectural or technological ensemble or landscape which illustrates significant stages in human history. 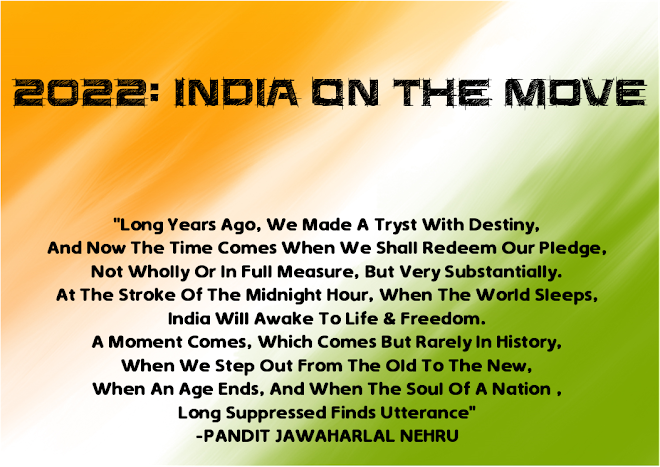 Culture Minister Mahesh Sharma called the international tag as “a matter of great pride to the nation”.